As the Olympics gets ready to start in Rio, Michelle Jana Chan finds a Brazil you won’t be seeing on television. Rio is the word on everyone’s lips right now – but there is more to Brazil than Ipanema beach, Sugarloaf Mountain and the Art Deco landmark of the Christ the Redeemer statue. The country’s attractions are many and diverse, from the vast natural wonder of the Amazon rainforest to 16th-century colonial cities, and from the wetland wildlife of the Pantanal to the tropical beaches of Bahia. 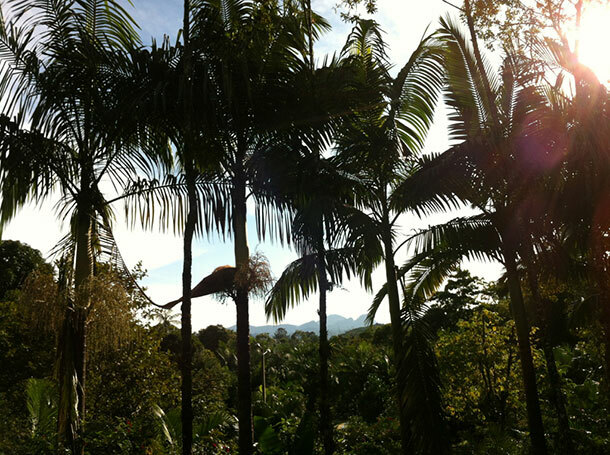 In a country roughly the size of the United States, distances are long and flight connections often force travellers to pass inconveniently through São Paulo – but there is another way to experience Brazil’s varied landscapes without enduring numerous long-distance flights. To the south of Rio de Janeiro is the compact state of Paraná. Here lie the safe, leafy city of Curitiba, a historical railway journey to the colonial town of Morretes, great swathes of Atlantic rainforest, the rugged Serra do Mar mountains, and beaches that make surfers sigh. 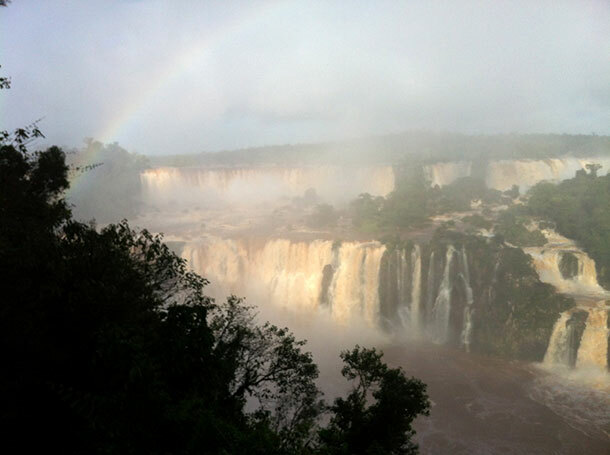 Far better known, of course, are the Iguaçu Falls which are also in Paraná. I began my journey in the capital Curitiba, a city populated mostly by European immigrants and one of Brazil’s greenest, with dozens of public parks, avenues lined with purple and yellow ipês trees, and copses of araucária, a relative of the monkey puzzle tree. This city is quiet and cool, unlike much of Brand Brazil, the brasher version of the country now conspicuous on our TV screens. There are cycle paths, pedestrianised districts and a pioneering public transport system. The motto on the Brazilian flag, Ordem e Progresso (Order and Progress), could be a slogan for Curitiba. I visited the striking, eye-shaped Oscar Niemeyer museum to see an exhibition dedicated to the country’s most beloved Modernist architect; the Free University of the Environment, built on a disused quarry; and best of all, the home of my guide’s mother. Eugenio invited me back for a Sunday lunch of rice and beans. “This is not the destination for carnival and capoeira,” he told me, “but it is Brazil.” Curitiba is the starting point of the Great Brazil Express, the country’s finest railway journey with wood-panelled carriages, velvet armchairs, bilingual narration and an unlimited bar service. 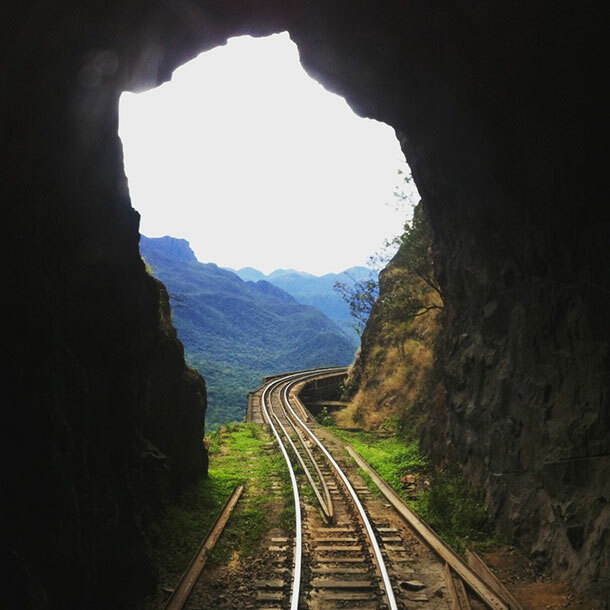 Starting at nearly 3,300ft above sea level, the train travels through tunnels, and over bridges and viaducts – switching back and forth as it crosses the Serra do Mar range towards the coast. The journey is through dense Atlantic rainforest, home to bromeliads and orchids sprouting from trunks, tree ferns and gigantic hydrangeas. I see glimpses of exotic birds – tanagers, trogons and toucanets – in the branches. Four hours later, we pulled into Morretes, a colourful colonial town founded in 1733 by Jesuits and which prospered on the trade of yerba maté tea and sugar cane. There are whitewashed churches right across town, some that served the slave-owner and others that welcomed slaves. On a Sunday evening, these are the only buildings with lights on. There are sombre hymns from the Catholic church and catchy rhythms from the Evangelists. From here I headed to the coast and Brazil’s largest stretch of Atlantic rainforest. Superagüi National Park is a Unesco World Heritage Site and one of the continent’s biodiversity hotspots, home to the endangered black-faced lion tamarin and the red-tailed Amazon parrot. The park is split between the Valley of the Rio dos Patos on the mainland and four islands off the coast ringed by beaches. I canoed around the shore of one island and saw bottlenose dolphins dipping in and out of the water as a roseate spoonbill flapped low over the water. I based myself nearby on Ilha do Mel, or the Isle of Honey, a low-key surf destination where the beat of maranhão reggae and forró played out in the island’s bars. There are no cars. No roads. Luggage is carried in barrows along a lattice of forested sandy trails. There is a church for surfers, incongruously named Bola de Neve, which translates as “snowball”; the pastor wears board shorts and the altar is made from a surfboard. 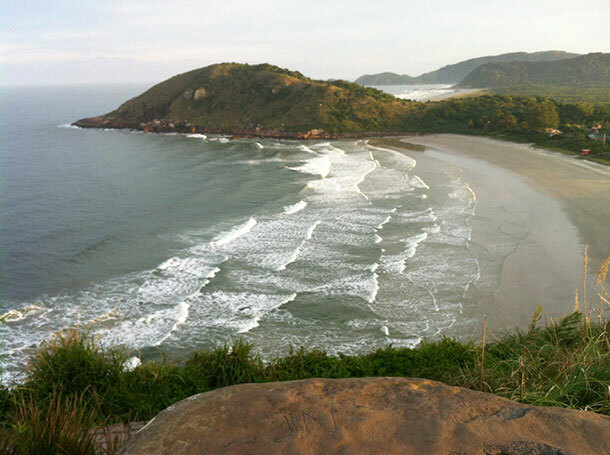 Like many of the islands along this coastline, Ilha do Mel was once a quarantine station for slaves. At the western tip is a colonial fortress, oddly named Fortaleza de Nossa Senhora dos Prazeres (Our Lady of Pleasures), where the only action was against a British ship trying to enforce an end to slavery. The island’s painful history is shrouded in myths and mysteries. There is the requisite grotto where mermaids were said to seduce sailors. After dark, the luminescent plankton in the surf was thought to be spirits, and the seabed is allegedly strewn with shipwrecks. I stayed on Praia Grande, one of the most coveted surf beaches, in a Balinese-themed pousada. At the other end of the beach is the hippy colony of Canto do Vó, or Grandmother’s Corner. The beach bar here could be the coolest on the planet (there is no schedule; “it is open when it is open”). I moseyed up to the lighthouse, Farol das Conchas, to watch the sunset. There was one last pause in Paraná: a short flight to the west of the state to see one of the great wonders of the natural world, Iguaçu Falls. My visit came on the back of two weeks of relentless rain and the water level was five times the norm. The drama was mesmerising, a contrast of fearsome power and the lightness of rainbows. Nevertheless, it is in this rainforest that the harpy eagle can still be seen, a bird so strong that it can prey on adult howler monkeys. Dogwoods grow 130ft high. I hiked the Macuco trail and spotted a pair of foraging coati in the undergrowth. An agouti lolloped across the trail. Millions may come to see the majesty of the Falls but far fewer witness the magic of the forest. That, in part, is what sets Brazil apart – a vast country where more than half the land mass is still covered in trees. Michelle Jana Chan travelled with Red Savannah (http://www.redsavannah.com).